I think I/ she might be pregnant? If you think you might be pregnant, the first thing to do is to do a pregnancy test. You might also want to talk to your family or friends so you have a bit of extra support. You can go to a local contraception and sexual health service for a test or buy a test from a pharmacy or supermarket. For most girls the first sign that they might be pregnant is a missed period. You might wonder if you got the date wrong but sometimes it’s just better to do a test. Nausea or vomiting: Also called “morning sickness,” this can happen at any time of the day. Tender, heavy breasts and they may increase in size. 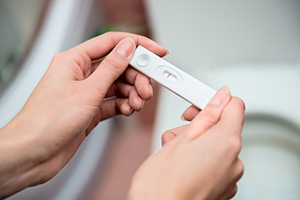 You may have planned a pregnancy and be happy with a positive result; in which case you will need to contact your local GP practice to discuss looking after yourself and your unborn baby during the pregnancy.However, if a pregnancy was unplanned and you do not want to continue with the pregnancy then you will be given advice and any help necessary. If you are thinking about termination of a pregnancy (abortion) then you can either go through the NHS or pay privately. If you go through the NHS this is provided locally, Dudley people will be referred to the Calthorpe or British Pregnancy Advisory Service (BPAS) clinic. Regardless of whether you pay privately or go through the NHS you will need to have counselling before you make a decision. This is provided at various locations usually a few days before the procedure. To be referred through the NHS go to the Where Can I Page.